Organic Coffee requires year around care and maintenance. Throughout the year our caretaker, Jose, uses organic material to fertilize the soil and coffee plants to keep the coffee healthy. 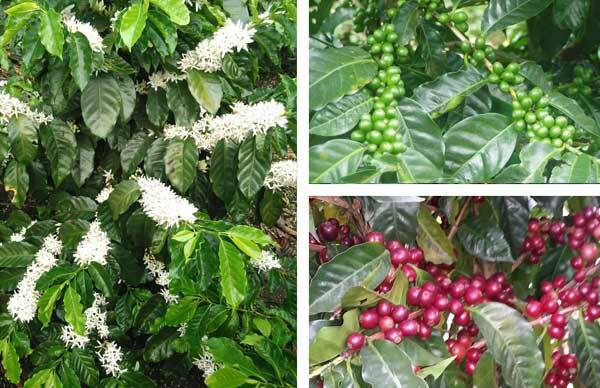 In March/April the Coffee plants blooms is a fabulous field of white flowers. The Coffee buds form in June from the flowers. The coffee fruit starts out green and then turns red and looks like actual “cherries.” Coffee beans that are ultimately roasted are the hard center of the fruit much like the pit of cherry. 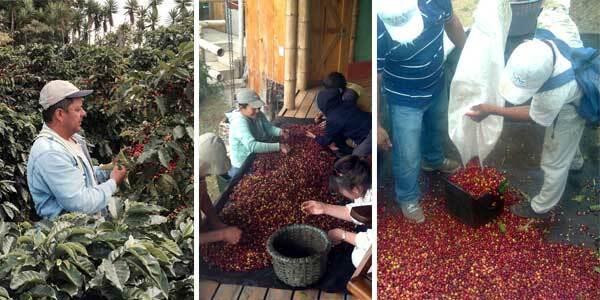 Coffee cherries are ready for picking starting in November and are harvested from December thru February. The cherries are delivered to the Processor. The skin of the coffee is removed as a first step. After the cherry is removed, the beans are surrounded by a parchment and a thin, gooey layer. Both the pulp and the parchment need to be removed before the coffee can be roasted. There are two methods of doing this: dry processing and wet processing. To learn about how our Rio Coyote coffee is processed, check out our good friends at Sonora Coffee, the father and son team of Alberto and Diego Guardia. They have a fantastic world class Micro-mill processor and are firmly dedicated to finding buyers for some of the highest quality boutique coffee produced in the world. 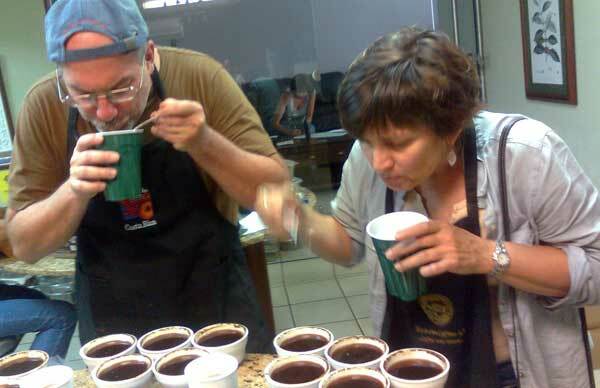 On our recent trip to Costa Rica we enjoyed attending a coffee cupping. We we’re thrilled that our coffee rated at 87 (premium grade). We hope to keep increasing that number due to our caretakers efforts and our processor. It’s gratifying to see the efforts on the farm show in the taste of the coffee beans. We are very proud that we have gained coffee fans from around the country. Once coffee is processed, we are finally left with the green bean which generally has a grassy, earthy aroma. This is the form in which our coffee is exported by our friends at Sonora. Alberto and Diego will find roasters around the world to taste our coffee and other fine boutique coffees in Costa Rica. Most people wouldn’t even recognize a green bean as coffee — it’s quite different from the little brown bean they buy, grind, brew and enjoy! Roasting allows the bean to reach that rich aroma and flavor that we so often associate with coffee. What is involved in the roasting of the beans? It’s actually quite easy. 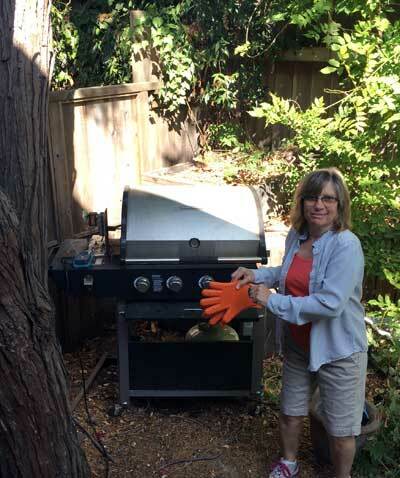 We have built our own roaster in Berkeley and in Costa Rica. Jose will be happy to roast up a batch for you! Drinking just roasted coffee is like having warm freshly baked bread straight out of the oven. The beans are heated in a big piece of machinery (the roaster) that spins them around at a certain speed (controlled by the person doing the roasting) at a certain temperature (also controlled by a person) for 8-15 minutes. After a given time, popping sounds indicate that the process well on its way. A chemical process takes place inside the bean, where – among other changes – starches are converted into sugars. The most important development is the extraction of “caffeol”. Caffeol is the essential oil of coffee – what makes coffee taste and smell like…coffee. The heating process extracts the caffeol from the bean, so that it can be later infused with water to make a cup of coffee. Our delicious coffee comes from trees growing in the rich soils of the Poas volcano in Costa Rica. After hand picking, drying and sorting, the beans are carefully slow roasted in small batches to bring out their distinctive nutty flavor. The result — a perfect cup of smooth, flavorful coffee. To purchasing some of our coffee, please select the amount and click the buy now button below (the listed price includes shipping). We hope that you get as much enjoyment out of drinking our coffee as we have in bringing it to you.